Leading reproductive health organization in Nigeria, Society for Family Health is partnering Health4All Media Initiative (HAMI) in its new IntegratE project developed to address the issue of inadequate access to family planning services in Nigeria, especially, Kaduna State. 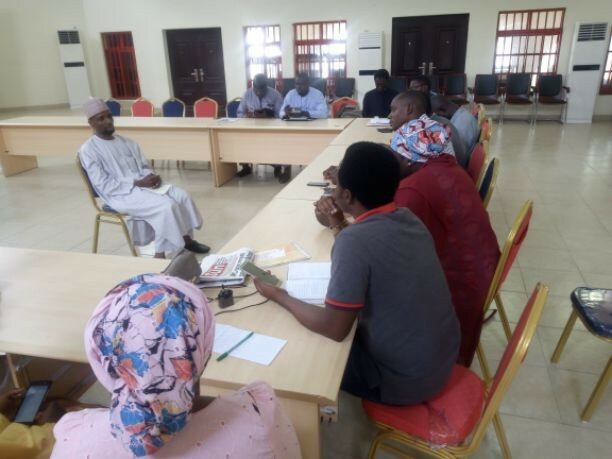 Speaking in Kaduna during the monthly meeting of HAMI as invited guest, State Team Leader, IntegratE Project/ Society for Family Health, Ibrahim Muhammad Murtala said, his organisation has mapped out private clinics in the State to expand the scope of facilities rendering family planning services. According to him, Adolescent pregnancies remain an issue in communities. He added that, only about 500 facilities representing about one-third of well over 1,500 facilities currently rendering family planning services across the 23 local government areas of the State. “So, we want to see how we can integrate private clinics into the system so we can reach more people. The truth is, there are more people who want to embrace the services. “The first thing we did was to map out all clinics across the State to make sure partners can locate them. “We discovered that, about 90 percent of them are rendering one family planning service or the other. So, mapping them have given us the opportunity to train a lot of them so they can render the services better. “Awareness is high, but uptakers are low. Many of the women will tell you they don’t have need for it. May be, they still need more education because awareness is different from education. “Now, many of the service providers are not providing friendly service that can create desires by those who want to have the service and that is not too good for us. Health workers need to develop good appealing attitude towards their patients/clients. HAMI is a group of media practitioners advocating for improved healthcare delivery in Nigeria in furtherance of Nigeria attaining the sustainable development goals (SDGs).